The team at Sorensen Roofing & Exterior wants to be able to provide our customers with the materials that will provide them with the roof that they’ve always wanted. That means that we strive to find shingles that are not only durable enough to handle the times where bad weather comes through, but that are beautiful enough to compliment your home. This is why we use GAF roofing materials. Learn more about the Grand Canyon® shingle and why it’s one of the many GAF roofing products we use. When it comes to roofing materials, you want to make sure that you’re selecting a shingle that is durable enough to handle the worst weather, yet beautiful enough to enhance the exterior of your home. This is why the Grand Canyon® shingle is so popular. This shingle has been specially designed to accentuate the shingle’s natural appeal while using modern technology to provide you with the ultimate level of protection. Keep reading to see a few of the additional reasons that we love the Grand Canyon® shingle. The Grand Canyon® shingle prioritizes both aesthetic and protection, but the best part is that you can enjoy this shingle at an affordable cost. Being able to choose such a high-quality shingle at a competitive cost is one of the reasons that we love offering this to our customers. Your roof contributes to 40 percent of the exterior of your home. When you’re looking to enhance the look of your home or add curb appeal, your roof is going to be one of the most affordable ways that you can do that. The sophisticated design of the Grand Canyon® shingle makes it all the more affordable for you to do! 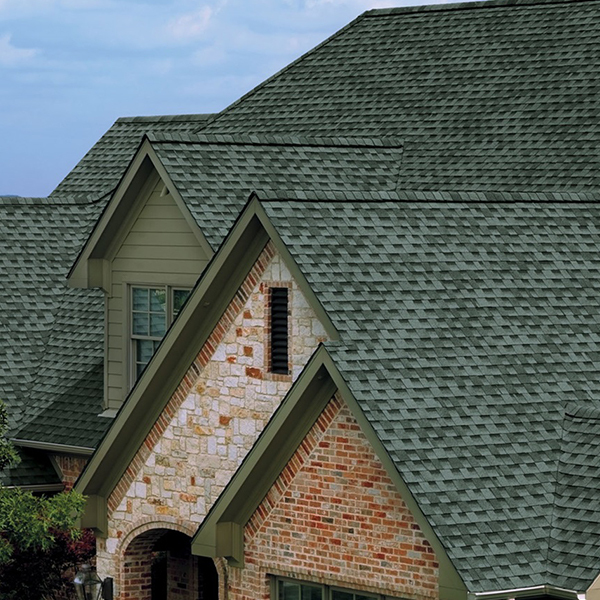 The Grand Canyon® shingle allows for you to choose from a custom color palette. This palette has been designed to ensure that the Grand Canyon® shingle looks its absolute best when it’s installed on your roof. As we’ve mentioned before, beauty isn’t the only concern that GAF had when it came to the Grand Canyon® shingle. Durability and design quality are also taken into consideration, which is why the Grand Canyon® shingle is known for its high performance and incredible ratings. With a Class A fire rating, you have the highest roofing fire rating available! Aside from that, this shingle is known for holding up to even the strongest winds. When you select such a beautiful shingle, you want to make sure that it continues to look great for years to come. That’s why the StainGuard® Protection is so important! This feature ensures that your shingles are free of algae streaks and stains, so that they can continue to add to the beauty of your home. The DuraGrip™ Adhesive that is used on the Grand Canyon® shingles is yet another reason that you can feel confident in your roof when storms roll through. This adhesive tightly secures each shingle, ensuring that they stay put for the foreseeable future! The team at Sorensen Roofing & Exteriors is here to provide you with the roofing materials and services that you need. We are dedicated to helping the Northern Colorado area find the right fit for their home. If you’re interested in learning more about the materials that we offer or receiving a free quote on your roofing needs, contact our team. We would be more than happy to get you taken care of.